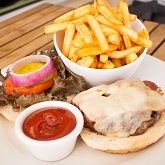 Order online from the larder and have your breakfast, lunch or dinner delivered to you. Sign up for The Larder's Chikalicious, Birthday or Breakfast clubs which gives members access to exclusive food and drinks. 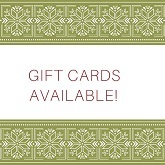 Gift cards are now available at The Larder, give the gift of delicious food and wine! 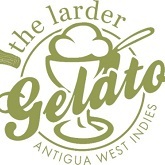 The Larder has just expanded their menu choices, adding a build-it-yourself Salad Bar, a list of Pizzas, and home made gelato. 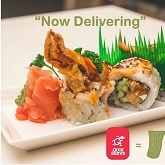 The Larder Sushi Bar with Sushi Chef Rando OPEN from 12:30 until close. ADDRESS: Royal Palms Place, Friar's Hill Road, St. John's, Antigua.